Exploring South America took us on amazing adventures through a spectacular array of landscapes; from the sweaty, humid rain forest in the Amazon, breathing thin air over Andean peaks to marvel at the vast Patagonian glaciers. The continent seems to exist in superlatives; the world’s largest glacier, biggest jungle, driest desert and highest waterfall to mention just a few. These magnificent landscapes are in-habitat by a mind boggling variety of fauna and flora, some of the most beautiful, dangerous and weird creatures on the planet. The culture is no less impressive ranging from remnants of an ancient Inca empire at Machu Pichu, living history on the floating islands of Lake Titicaca to the modern wonder of the Marvelous city, Rio de Janeiro. Making a list of the best places to visit is a difficult task, but here are our 29 places not to miss! The spectacular Iguazu Falls stretching from Brazil to Argentina. The spectacular Iguazu waterfall system is the biggest in the world, consisting of 275 falls up to 82m high where the Iguazu River tumbles over the edge of the Paraná Plateau. 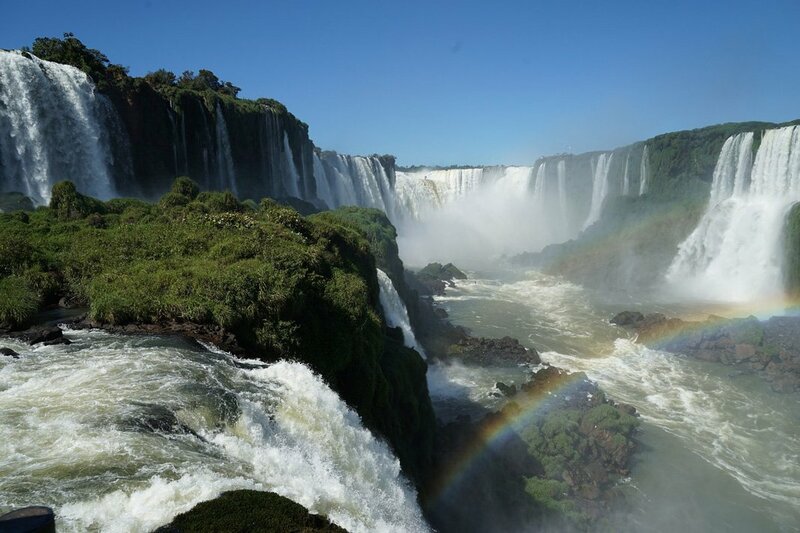 This enormous waterfall system stretches from Argentina to Brazil and can be visited from both countries. Don’t miss the devil’s throat and experience this incredible water mass at full blast! Mystical Machu Picchu, this view is the nr 1 bucket list item for many visitors to tick of on a trip to South America. Machu Picchu ‘The lost city of the Incas’ is a 15th-century Inca citadel situated on a mountain ridge 2,430 metres above sea level. Abandoned by the Incas in the mid 15th century it was only brought to the attention of the world in 1911. Today it is very touristy with thousands of visitors, touristy or not it is a must see. The Inca ruins are one of the most spectacular man made structures I have ever witnessed. There are many different ways to arrive here, by bus, a 2 hour hike from Aguas Calliente, hiking for 5 days following in the steps of the Incas on the Inca trail or a 7 day of the beaten track hike through ‘Machu Picchu’s little sister’ Chocuequirao. The breath taking Torres del Paine National Park stretches over mountains, glaciers, lakes, and rivers in southern Chilean Patagonia. The park can be explored by doing the famous W – trek for 5 days, hiking for 8 days doing the O-circuit as we did or by several one day hikes. The massive Glacier Grey and The Torres del Paine, three distinctive granite peaks of the Paine mountain range are not to be missed. The park is located 112 km north of Puerto Natales. Walking close to the jaw-dropping Perito Moreno glacier in Argentina. 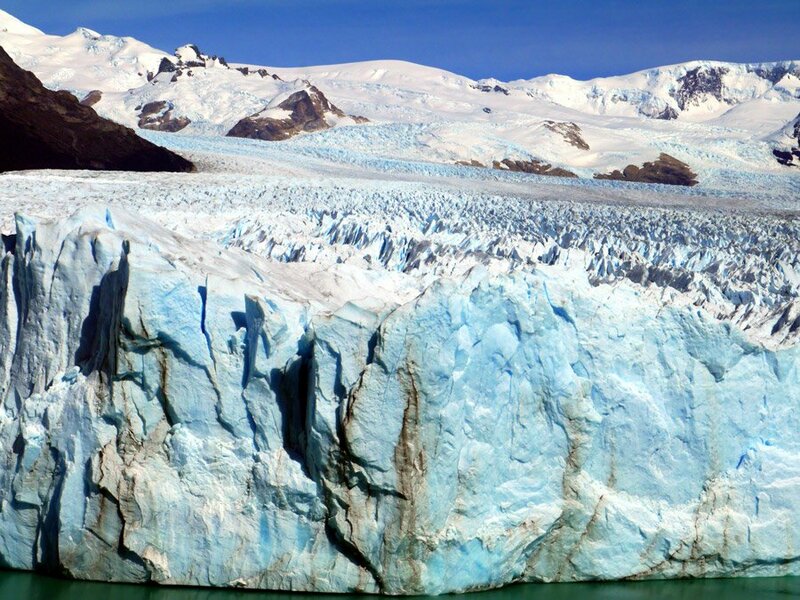 Perito Moreno in Argentina is one of 48 glaciers fed by the Southern Patagonian Ice Field located in the Andes system. It is an advancing glacier, where most glaciers are retreating. The glacier ruptures every 4 or 5 years and big pieces of ice collapse of the advancing glacier into the water several times a day. The glacier is easily accessible with board walks giving you beautiful views of the ice field. Driving with a boat close to the glacier or guided hikes on the glacier are possible. The national park is a 2 hour drive by bus from El Calafate. If you want to see animals in South America the Pantanal is the best place to go. The Amazon has a huge biodiversity, but is massive and very dense making spotting animals hard. In contrast the Pantanal is a wetland system, the open areas make seeing animals easy. There are plenty of carbibaras, toucans and caimans, catching piranhas and feeding them to the caimans is common practice for taking photos. 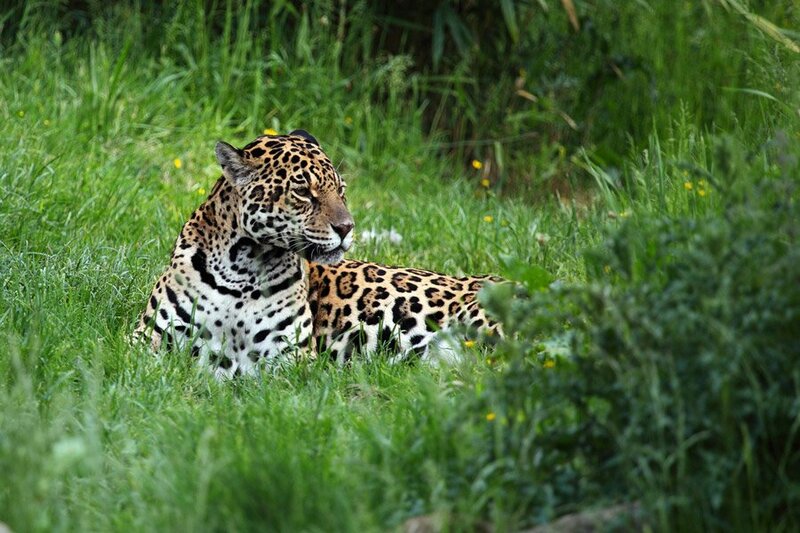 Here you even have a realistic chance of seeing rare animals like jaguars and anacondas. Want to know where to find which animals in Brazil? Salar de Uyuni in Bolivia is the world’s largest salt flat at 10,582 square kilometers and was formed as a result of transformations between several prehistoric lakes. There are several interesting sites on these salt flats and it is a very popular tourist attraction. A couple of hotels have been built at different sites using salt blocks. The salt flats are usually explored as a 4 day trip from Sucre and is a popular way to cross into Chile. Exploring this area for a couple of days was an unreal experience. Playing with perspective to take cool photos and videos is popular on the salt flats. Check our video that we made with a cereal box below! Angel Falls in Canaima National Park, Venezuela is is the world’s highest uninterrupted waterfall, with a height of 979 metres (3,211feet). Reaching ‘Salto Angel’ is a mission flying into Canaima National park in the middle of the Venezuelan jungle in a small plain followed by a 4 hour canoe trip and a hour hike on a jungle trail. Floating in the natural pools looking at the water tumbling down from almost a kilometer up is truly spectacular. The driest place on earth some years receiving less than a millimeter of rain is really something special. There is an astonishing variety of spectacular things to see ranging from salt lakes to hot springs, caves, canyons, colorful mountains and don’t forget to look up and admire the stunning night sky. We rented bicycles and explored the amazing rock formations of Valle de la Luna and surrounding Atacama desert for days. Walking into the desert and camping was a unique experience. Mount Roraima in Venezuela is the highest of the many Table Mountains (tepuis) scattered over the grasslands of The Grand Sabana. Covered in strange rock formations, quarts fields and insect eating plants the unique fauna and flora on top this lost world developed in complete isolation over millennia. We explored this incredible area for 8 days seeing what inspired writers and movie makers over decades. The Marvelous city is one city not to miss on your South America itinerary with the iconic Christ the Redeemer overlooking tropical forest and golden beaches fringing this cosmopolitan city. I always compared Rio with my home town Cape Town. Go for a swim or a game of volley ball at the famous Copacabana beach with views of both Sugarloaf Mountain and Copacabana Fort. Join a Samba city tour to get in the carnival vibe and hike some great trails around the world’s largest urban forest. Be mesmerized, but be alert and stay safe in Rio de Janeiro the most beautiful and exciting city in South America! Want to hit the trails with some of the most spectacular routes Argentina has to offer? Don’t miss El Chalten with well looked after trails and amazing views for every level from short one day walks to challenging multi day treks. 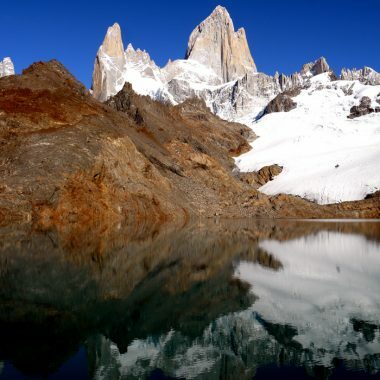 Keep your camera ready for unreal scenery at Lago de Los Tres and Mount Fitz Roy. Challenge yourself for 4 days on the beautiful The Huemul Circuit. Want to see a different side of Argentina? Go to the unique Península Valdés. This coastal Patagonian nature reserve is known for the marine animals inhabiting its surrounding beaches and waters such as whales, sea lions and elephant seals. 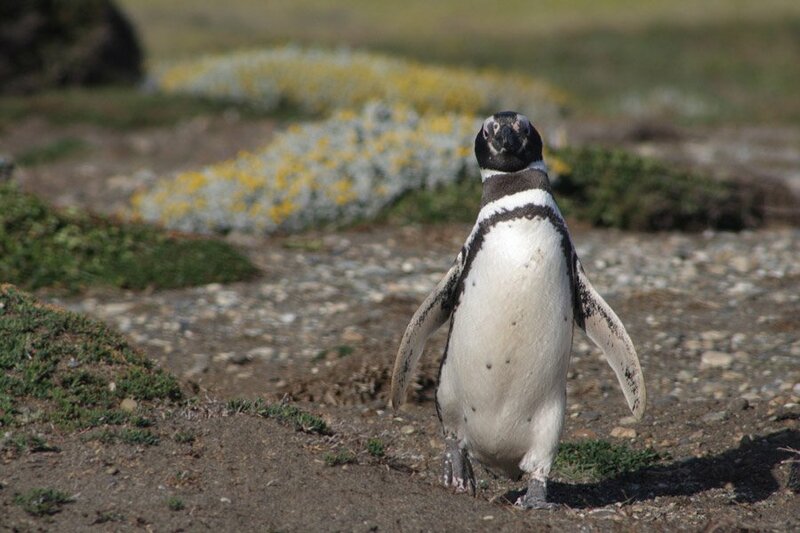 From Puerto Madryn go walking with penguins, snorkeling with sea lions or go on world class whale watching tours to see the Southern right whales on their annual migration. Cusco, a city in the Peruvian Andes, once capital of the Inca Empire, is today known for archaeological remains and colonial architecture. The city is located at high altitude over 3000m and is a great base for exploring the surrounding Andes mountains and the ruins of several Inca settlements, the most famous being Machu Picchu. We were based in Cusco for a month doing several spectacular treks such as Ausangate, Choquequirao and Salkantay. From Cusco you can visit other spectacular Inca sites like Sacred Valley where you can see impressive ruins of Ollantaytambo and Moray, Maras salt mines and more. Salento is a small colonial town in the heart of Colombia’s coffee triangle, producing some of the best coffee in the world. The charming town with its cobble stone streets and colorful houses is surrounded by green hills and coffee plantations. The main attraction around town is to go on a coffee tour following the world famous coffee beans from the plantations to your cup and to hike the Valle de Cocora. This valley can be reached from Salento by a 30 min jeep ride. The hike is about a 5 hour round trip with Colombia’s national tree the 60m tall wax palms all over the spectacular green landscape. 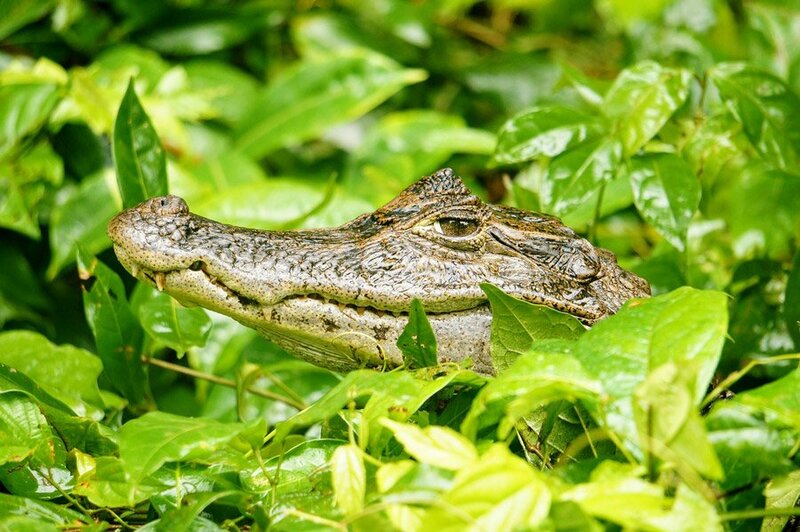 Cayman on a river cruise on the Amazon. Visiting the world’s largest rain forest and river was high on our South America to do list. Manaus the capital of the Brazil Amazon was the logical place to start. Cities and towns can not be reached by road in the Amazon so you must fly in or go on the river. From here take a slow boat down the Amazon river, swinging in your hammock for a week trying to spot animals on shore or pink dolphins. Go on a trip catching piranhas, feeding Caymans and swimming with pink dolphins. You can also reach a smaller, more authentic destination such as Alter do Chão or Tefe from here. See this guide for traveling Brazil on a budget. Valparaiso is considered to be an art capital of Chile and art is everywhere in this port city from its streets to art galleries, from cafes to museums and everything with its own unique style. This unique city has 3 very interesting neighborhoods that is a pleasure to explore on foot; Cerro Concepcion (Concepcion hill) a bohemian district on the top of a steep hill with two elevators that can take you to the top, Cerro Bellavista (hill Beautiful view) with the Museo a Cielo Abierto (the Open Air museum) at the top and La Sebastiana with the house-museum of the famous Chilean poet Pablo Neruda. Want to know more about transport in Valparaiso? You can walk around the streets filled with street art and far reaching Pacific views for hours. We had so much fun in what is often described as the adventure capital of Colombia. The location is perfect for rock climbing, paragliding, white water rafting and hiking. 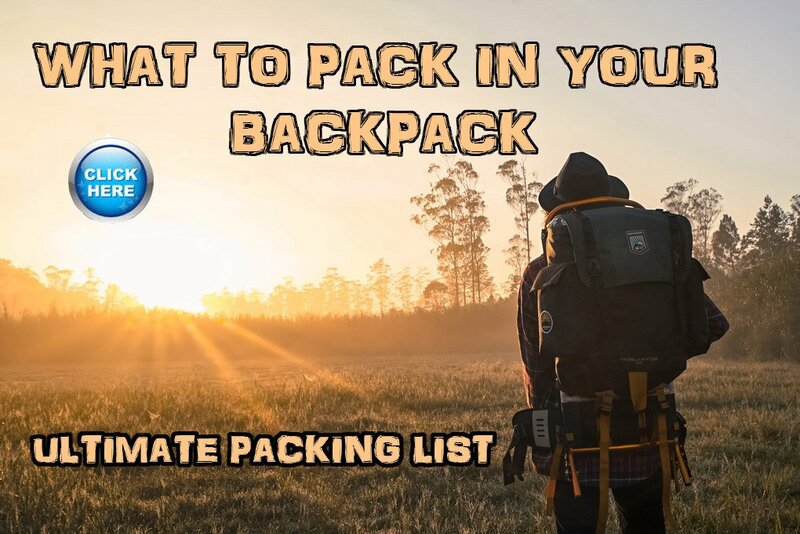 Put together your own multi day hike itinerary and explore off the beaten track colonial towns from Barichara, ride rising hot air currents paragliding in the Chocomoca canyon or go rafting class 4 and 5 rapids on the Rio Suarez. Beautiful Caribbean beaches surrounded by lush green jungle and beautiful peaks make Tayrona spectacular. This large protected area at the foothills of the Sierra Nevada de Santa Marta is known for its palm-shaded coves, beautiful lagoons and rainforest rich in biodiversity. You spend your days hiking from one amazing beach to the next and walking on the jungle trails. Really on a budget? sleep in hammock or rent a tent. Get to the park by boat from Taganga. The Galápagos Islands is part of the Republic of Ecuador, this archipelago of volcanic islands are distributed around the equator in the Pacific Ocean. The islands with its vast number of endemic species are known to be the location responsible for Charles Darwin’s theory of evolution by means of natural selection. Even when visiting The Galápagos on a budget it is still expensive to do, but you are guaranteed to see a variety of animals you will not see in any other park in the world! The most visited city in Colombia is well known as the best preserved colonial city in South America with some fantastic architecture from the colonial period. Walking the streets is a photographer’s dream, the beautiful old town is surrounded by the city wall, parts of the walled city and the coral stone fords are more than 500 years old. The neighbourhoods Old Town, Getsemani, or Bocagrande differ greatly and where you stay in Cartagena will have a big impact on how you experience the city. There are some beautiful beaches not too far from Cartagena, Playa Blanca is a great beach you can reach in about an hour by bus and ferry from the city. Don’t miss taking a hot mud bath in Volcán del Totumo, a 15m high mud volcano about 45 km from the city. There are many fun and cool things to do in Cartagena and the surrounding area. 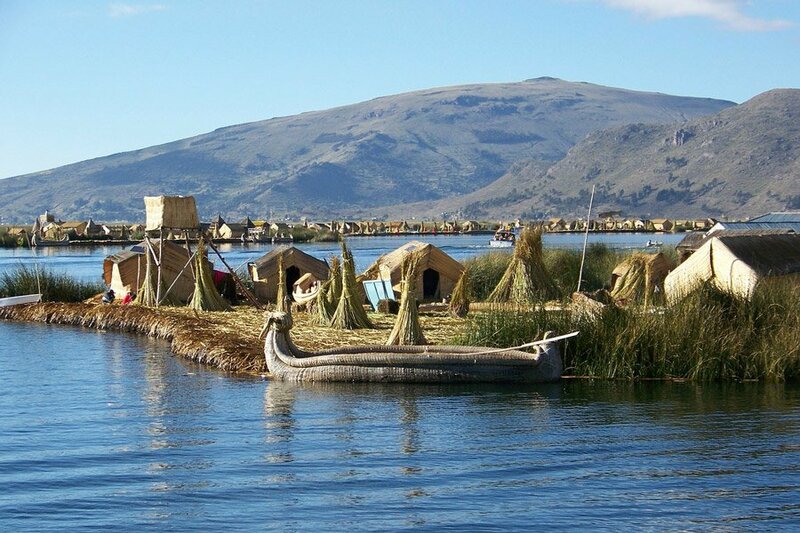 The floating islands of the Uru people on Lake Titicaca. Lake Titicaca is a large, deep lake in the Andes on the border of Peru and Bolivia. Located at an altitude of 3812m above sea level this huge lake is the “highest navigable lake” by large boats. The biggest attraction on the lake is the man made “Floating Islands”. The islands are made by the Uru people from layers of cut totora, a thick buoyant reed that grows in Lake Titicaca. Boat trips go out to the islands, it is interesting but is very touristy. La Mitad del Mundo, or the Middle of the Earth, located 26 km away from Quito highlights the exact location of the Equator from which the country takes its name. Here you can straddle the equator, see how water flows straight down instead of forming a vortex or try to place an egg gently on a nail. Other than being on the equator there is not much to see, but a Disneyland like theme park for taking photos and demonstrating these effects at the equator. Alya going for a swim in the freezing water of Siete Tazas, Chile. This unreal national park has plenty of exquisite natural pools with crystal clear water, waterfalls and canyons that is surrounded by mountains and forest with plenty of hiking trails. The park is known mostly to local tourists, pitching tents in several camp sites throughout the park. The main attraction is the river Claro and the canyon it flows through with natural pools, terraces and caves. Swimming in the bright turquoise water is freezing, but it is so beautiful it is absolutely irresistible. Siete Tazas is located near the town Molina, about 200km from Santiago. Siete Tazas (seven cups) is named after 7 pools or cascades in one of the canyons. Read here for all about our experience at Siete Tazas. The laid back town of Cuenca in southern Ecuador’s Andes mountains with its exquisite architecture and stunning views must be the most beautiful city in the country. The city center is compact, making it ideal to explore on foot, located 2500 m above sea level it should take you a day or two to acclimatize. Go and explore many amazing sites such as the historic ruins of Ingapirca or the beautiful viewpoint, Turi, around the city on one day trips from Cuenca. 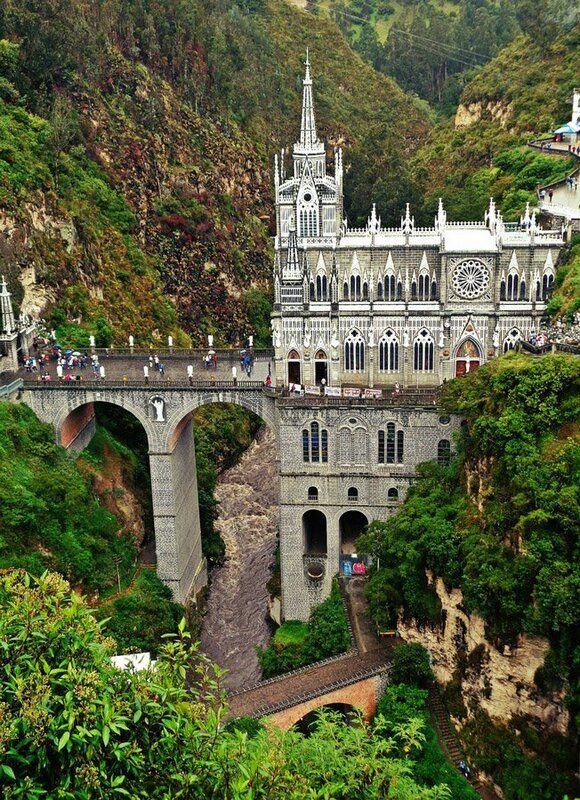 The magnificent Las Lajas Cathedral is built on a stone bridge spanning the canyon of the Guaitara River on the border of Colombia and Ecuador, near the city of Ipiales. This construction of this incredible gothic church started in 1916 and it took almost 33 years to finish it. Myths of miracles that happened in the cliff sparked the the dramatic setting for the construction of this church. 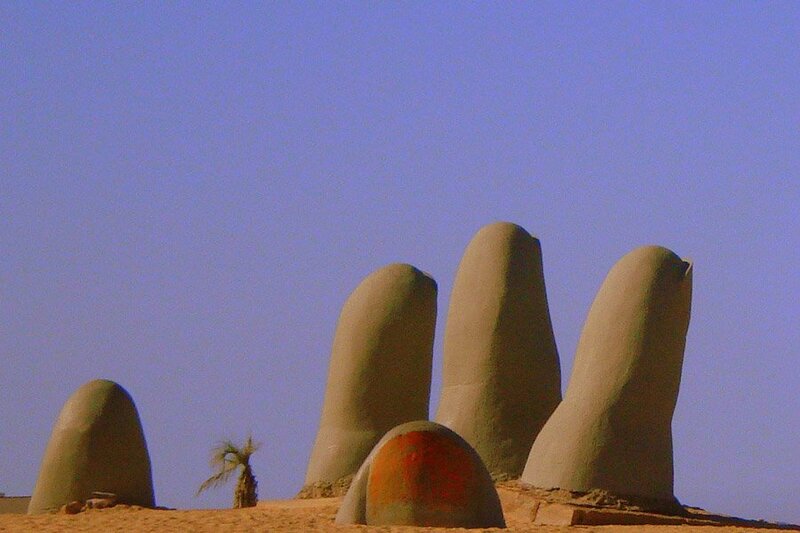 The sculpture on the beach- Los Dedos (“the fingers”), a famous work by Chilean artist Mario Irarrázabal. The beach town of Punta de Leste is a fishing village turned resort town, known for the ‘Los Dedos’ beach sculpture at Playa Brava by famous artist Mario Irarrázabal, beaches and surfing. The whole country, Uruguay, is off the beaten track, Punta is a very popular destinations for Argentinians, Brazilians and Uruguayans in summer. lha Grande is a smashing tropical island located off the coast of Rio de Janeiro state, Brazil a short short boat trip from Angra dos Reis. 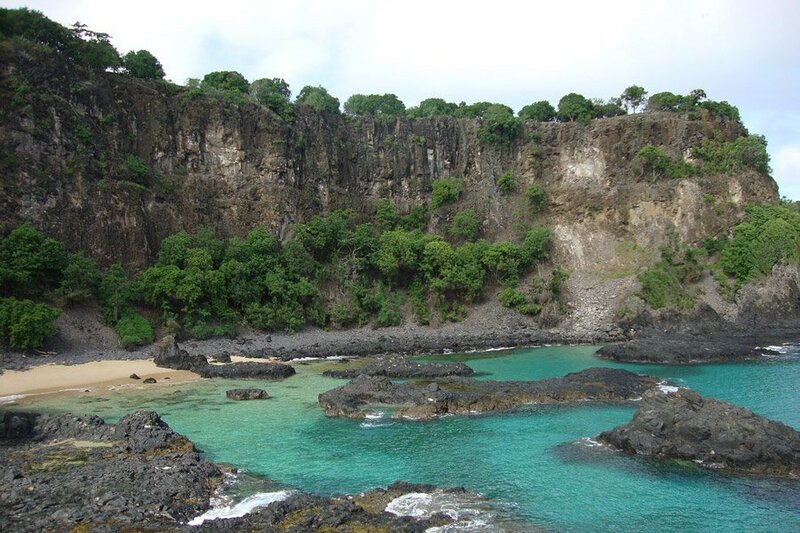 This stunning island is surrounded by over a hundred beaches and is covered in dense jungle. We hiked around the island for 5 days walking and camping on beautiful beaches while listening to howler monkeys growling in the tropical paradise fringing the beach. Experience Buenos Aires Argentina’s big, cosmopolitan capital, the city is truly alive. ‘The Paris of South America’ is filled with museums, art galleries and theaters, filled with interesting architecture and street art the city is really beautiful. Explore the colorful neighborhood of La Boca, admire couples dancing tango on the street, enjoy Argentina’s world famous beef and wash it down with a glass of Malbec before dancing the night away in the city’s clubs, this is the place to learn to Tango. Be prepared to get by with little rest, the party starts late and the city never sleeps. Fernando de Noronha a volcanic archipelago about 350 kilometers off Brazil’s northeast coast is one of the country’s best kept secrets. Renowned for undeveloped beaches, good scuba diving and snorkeling, marine life is protected and tourists are few. Sea turtles, rays, dolphins and reef sharks swim in the warm, clear waters of the protected national park and daily visitors are limited to 400 per day. With the world’s highest concentration of wild dolphins and 3 of the 5 best beaches in Brazil this is a tropical paradise. Drink Caipiroskas eat ceviche enjoying this divine setting. 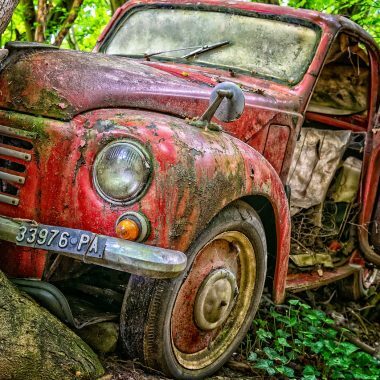 Excellent article guys! Super informative and well written. 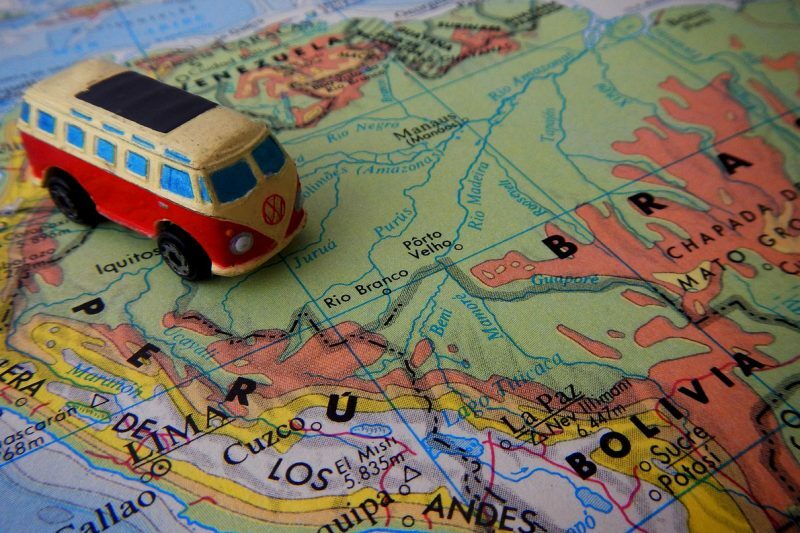 So much to do in South America. ?